Our white Sancerre Moulin des Vrillères is a blend of our different parcels of Sauvignon. It expresses clearly its aromas of white flowers and citrus fruits, and lingers long on the palate. The dominant fresh mouth does not betray its terroir. One can open it as an aperitif and finish it with fresh or mature goat's cheese. This is a winemade from Pinot Noir by the saignée method. The juice is separated from the skins once th colour is right. It its salmon colour first attracts you, it is the bouquet taht holds your attention with the elegance and complexity of its perfume of ripe fruits. A bottle that can be opened in confidence and tried young. Old Westminster Winery wants you to think outside the bottle. Drew Baker, co-founder of Old Westminster Winery, will be in the shop this Friday tasting these tasty (and local!) 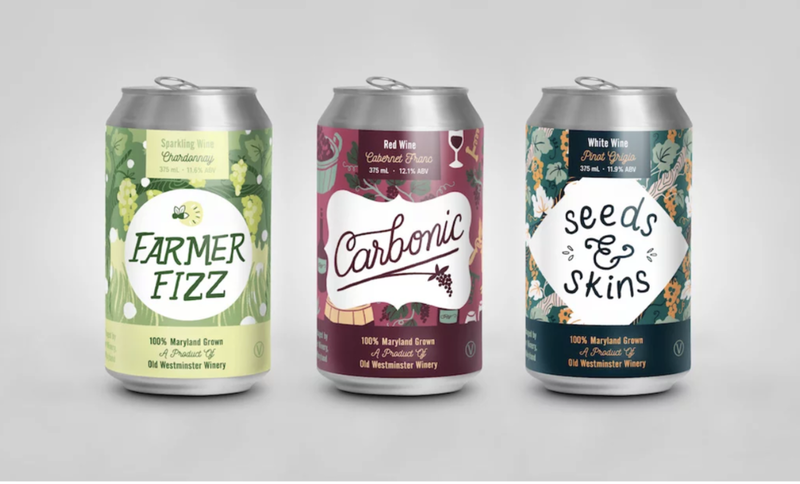 canned wines.